Atlanta Beltline — one of the "coolest" things do to in ATL right now! Walk, run, ride or scooter along the Eastside Trail from Ponce City Market to Krog Street Market and you will understand why! Most of the 22-mile loop is still in development. Completed sections include the Eastside Trail (start here), the Westside Trail (home of my my favorite brewery) and the Northside Trail (explore Tanyard Creek Park). INSIDER TIPS: 1) Stop in at my favorite brew pub and enjoy some of this man's craft work! Head to the rooftop bar if weather permits. 2) Check out this amazing art installation. 3) Set up camp behind this clump of pine trees. Centennial Olympic Park — created for the Bicentennial Olympic Games in 1996, this gorgeous urban park has become the gathering spot in our city's downtown core. It is also the site of Super Bowl Live during Super Bowl LIII. If time permits, take this audio tour. 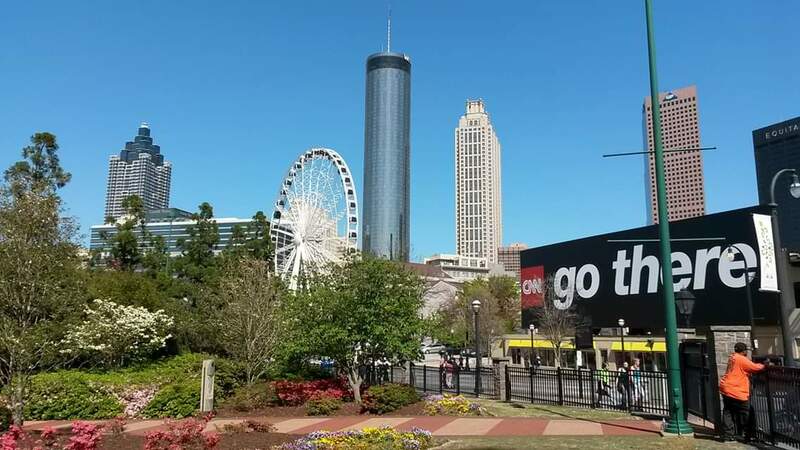 INSIDER TIPS: 1) At night, make your way to the NW corner of the park and take a pic of the city skyline (facing Skyview Atlanta). 2) Make your way to this place and order the Caesar salad w/ cedar plank salmon or the bison burger. Chattahoochee National Recreation Area — this is the place to go if you want to get out into some deep nature quickly! Like 15 minutes from downtown. Miles of wonderful hiking and running trails will give you a really good idea of what this area looked like before the British arrived! Did you know that the Province of Georgia was the 13th British colony? Yup. INSIDER TIP: The closest access point to downtown Atlanta Paces Mill (Cobb Parkway). 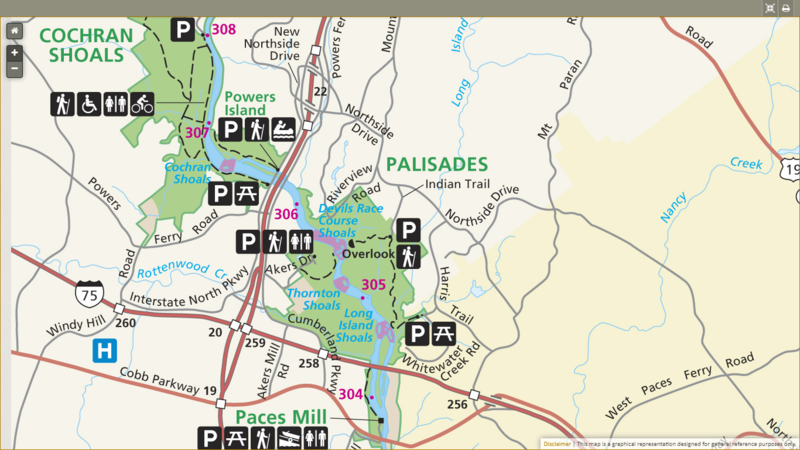 From the parking lot, you can hit the East Palisades and West Palisades trails. The trails on the east side of the river are more challenging (hilly). See if you can find your way to the "Overlook" on this map (between Points 305 & 306). 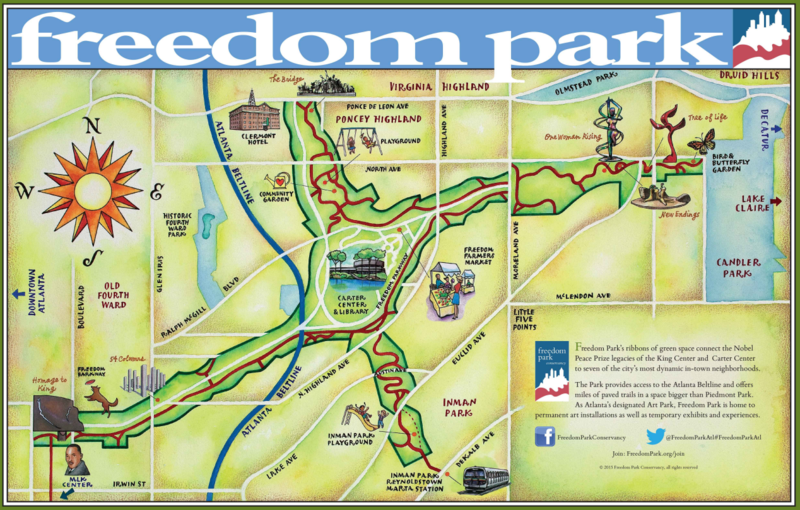 Freedom Park — Sprawling park that has four "arms" that emanate from the Carter Center. One of the best places to walk and run. It's connected to and is far less crowded than the Atlanta Beltline Eastside Trail. If time permits, pay a visit to the Jimmy Carter Library & Museum. The grounds, which are open to public, offer some of the most stunning views of the city. INSIDER TIPS: 1) Find your way to the Carter Center and see if you can find this spot. 2) Stop in at this place (Inman Park location) and order a couple of sammies, a side or ramen and a Jack & Coke slushee! Grant Park — If you like TREES, head to Grant Park. GP is one of Atlanta's most beautiful parks and is also home to Zoo Atlanta, which is currently undergoing some major renovations. INSIDER TIPS: 1) Head over to the Historic Grant Mansion. Sit on the steps and read about Lemuel P. Grant! 2) Find your way to Ft. Walker and learn about the "breastworks" that Lemuel designed. 3) Grab a bite to eat and something to drink at this place! Olmsted Linear Park — While not officially part of Atlanta's "Emerald Necklace," OLP is one of the crown jewels of ATL. This 2-mile linear park is the center piece of Historic Druid Hills, which was the last masterpiece designed by Frederick Law Olmsted, Sr. It has six segments and is a great place to bike, walk or run. TOUR GUIDE TIPS: 1) Find your way to Shadyside Park and watch this video to learn about a freeway that almost came through these parks. 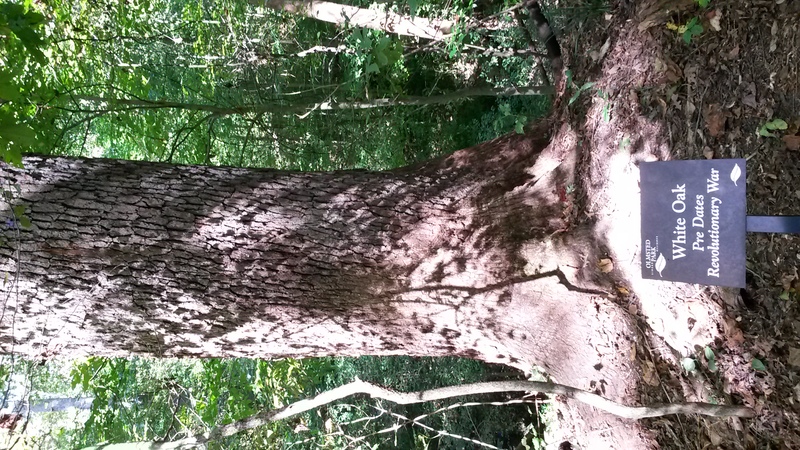 2) Make your way to Deepdene Park (an old growth forest) and find the white oak that predates the Revolutionary War. Extra credit: What could explain why this many trees lived to be so "old" in this park? Speaking of trees, did you know that ATL is known as, "the city in a forest?" 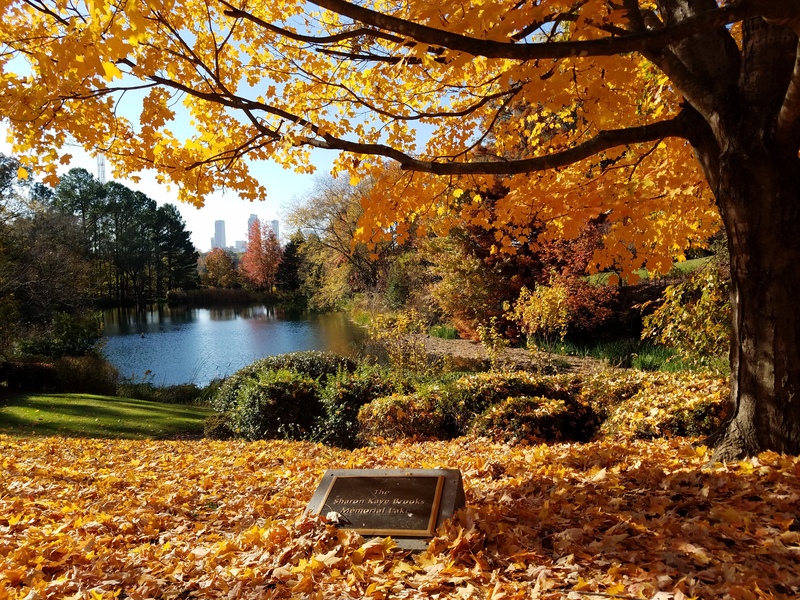 Also, did you know about Atlanta's Champion Tree program? Piedmont Park — This is Atlanta's "Central Park." Located in Midtown, this magnificent (300-acre) park offers miles of trails that are great for biking, walking, running and scootering. It's stunning beauty and rich history makes it a must-visit for history and nature lovers, alike. INSIDER TIPS: 1) If time permits, be sure to visit the Atlanta Botanical Garden. 2) Walk or run on the interim hiking trail that runs along the eastern boundary of the park, north of Monroe Drive. 3) Stop in for a margarita and the Cochinita Pibil at this place!